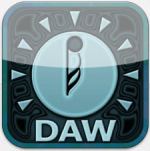 First of all there are several major features that are involved in looking at these DAW’s – 1)Recording of Audio – both from the obvious external source like a mic, guitar, wind instrument, etc… but also through the integration of AudioBus that allows recording of audio from other apps. 2)Recording of MIDI – both virtual MIDI as well as being able to access external MIDI equipment 3)Built-in synths, drum machines and sounds or loops. With AudioBus integration the need for “everything” being built into one app starts to go away. 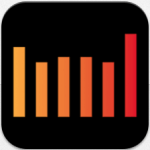 NanoStudio, for instance, has a huge user base because it has allowed people to create some amazing recordings all in one app – go search SoundCloud. You don’t have to go purchase additional hardware synths, audio interfaces, MIDI interfaces or mics and you don’t need the additional purchase of synth apps or FX apps! 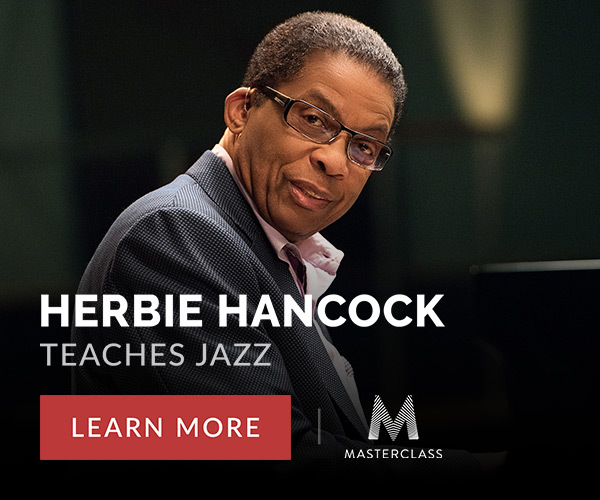 Smart Instruments – go read their description and watch the video – very very cool, especially for elementary kids, middle school kids and those without the musical training needed to play the parts themselves! Jam Sessions! Jam three friends (4 total people) over wi-fi or blue-tooth. How much fun would THIS be in a classroom setting! This is THE REAL GARAGEBAND FEELING! Will not play external MIDI keyboards! MultiTrack DAW – my second purchase because of recommendations of friends on the internet! I LOVE people who share! MusicStudio – my third purchase – again because of friends on Twitter. There is a massive sea of apps out there – ask around to see what others are using and what is working well for them! Records up to 24 tracks of audio at once! Very disappointed to find out that there is no way to control the input level when recording audio! (At least I can’t find it yet!) As I am a Band Director this is a pretty vital feature! Built-in Effects are somewhat limited. These are more of a global effects unit – you can have basically two effects groups – one for all the tracks or one that is on a separate bus or of course you can have tracks without effects at all. It is not a track by track basis by any means! 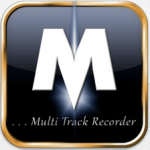 Meteor Multitrack Recorder – make sure you have at least 1 GB of free space available when using this app. The app itself takes only about 200mb but it requires more while running! You should also close all other apps to free up space. In fact, while using these audio related apps I have found this to be essential in having a successful session – no audio stuttering or apps quitting. Only records a stereo input? 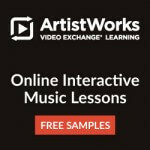 Charges extra for the MIDI editor – Really? 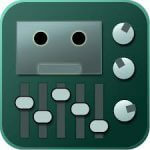 Come on people, if I am going to buy your app it is probably in part because of the ability to record MIDI! If I am recording MIDI then editing it is a basic function! – the one that seems the most like a professional recording studio full of effects, EQ’s and capabilities. This app has astounded people time and time again! Have not purchased this one – I mean geesh – it’s $50! (There is a $25 version as well though if you want to get your feet wet here and try this out) Ouch! Don’t get me wrong… I am sure it is worth it but I am looking for something that I can use with my students on multiple iPads in the band room. $50 starts adding up really fast! Of course software for the desktop that does what this app is capable of would cost 3 to 5 times as much! Plus many of the plug-ins for Auria are 3 to 4 times cheaper for the iPad then they are for desktop versions! Records up to 24 tracks of audio at once! Plays back up to 48 tracks of audio at once! Cubasis – This is from Steinberg. Have not purchased this one either for the same reason – it’s $50! Again… I’m sure it is worth it and the longer I look around for a cheaper option I think I might just have to go this route and pay the money! I am very intrigued by this company as this is now where many of the developers of Sibelius work now, after Avid went through their restructuring. I am holding high hopes for some amazing new technologies to come together in the form of Cubasis and a new notation program from the same company. 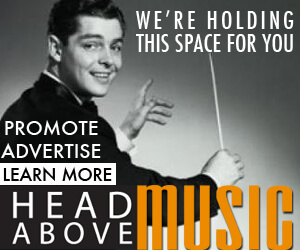 Unlimited audio and MIDI tracks! Will record up to 24 tracks of audio at once! (in iPad years anyways) and has a huge user base built up! Studio.HD – Not very familiar with this as it seems to be focused on using loops. For those that are into that though this could be a great choice. I would suggest the video they have on their web-site – it is very well done and highlights some exciting thing this app can do with ease! This developer has quite a few apps out there which tells me that he is not going away any time soon. If you have thoughts please let me know! Which is your favorite and why? Which of these do you own? What have you found to be huge benefits and drawbacks of these apps! Are there features you would like me to add to the list so you can compare the apps to each other? I will keep updating this and will tweet at anytime I do post an update to the list.